A sustainable negotiator is a leader. S/He is fueled with challenges and novelty because they are curious and restless. Real leaders believe that change should be disruptive rather than incremental. Sustainable negotiation disrupts from all old negotiating techniques that have been ruling negotiation teaching and practice since the 1980s. What researchers call a paradigm is the way we view the world. There are some guidelines and everyone sticks to them. A paradigm shift is creating another view of the world, which will replace the old one. It is very difficult to engage people in a paradigm shift because of resistance to change. It requires switching to a new mentality and admitting that what we have been practicing and preaching so far is no longer appropriate. Sustainable negotiation invites to a paradigm shift. Social pressure and the status quo created around what is obvious and shallow rule out forward-thinking people who see far beyond than the average. Is it because they are more intelligent? Not necessarily, but it is certainly because they are curious and dare contesting the well-settled mediocre standards to look out for better options. These people are discriminated and excluded from the mainstream system. This happened to Galileo, to Copernicus and to many other people thanks to whom we are less ignorant today. But in their time, they were persecuted although what they discovered was accurate. Unlike Copernicus in 1543, Galileo, by using a scientific method, showed evidence through empirical observation and mathematical demonstration which was harder to contest. And yet, it was contested. Copernicus and Galileo were leaders. Sustainable negotiation invites to disrupt from old paradigms because it opposes to the win/lose negotiation techniques. Winning and losing views of negotiation rest on transactional relationships while sustainable negotiation rests on transformational relationships. When you aim at winning a negotiation you don’t think about the future. You make your transaction, get your money and off you are once your transaction has been completed. But when you are in a sustainable negotiation mode, you don’t think about winning. You think about the future you are building. As you share a vision of future with the people you negotiate with, you progressively and constantly transform your relationship with them in order to suit the needs of all parties and aim at a future together. We are not talking about long term relationships here. Long term has a term. We are talking about sustainability. In negotiating terms, this means that you don’t envisage an end to your relationship which will last until you and your partners decide that you no longer need to work together and not because your contract has reached its term. As a leader, you don’t want your leadership to be ephemeral; you want it to last. You transform your relationship with your followers in order to keep them willingly following you. People will willingly follow you if they trust you and if they feel like you know where you are going to and where you are taking them to. They recognize specific skills in you which complete their own skills and this is why they follow you. Same applies to negotiation. Sustainable negotiators are leaders because they have a vision of future that termed negotiators can’t have. They lead the way to better and more sustainable outcomes to all those involved in the negotiation. That is how they become persuasive and why other negotiating parties follow their lead. Negotiators with a leader mindset also perform better in international settings because they are driven by the challenge of being out of their comfort zone. These are the negotiators who path the way to contemporary negotiation. - Make sure that you share a common vision of future with the people you are negotiating with. Ideas can change and they do change, but your deep and shared vision of future should remain the same. This is the real bond with your partners. - Understand that conflicting ideas and situations lead to tough decision making, and sustainable negotiation is effective because it goes far beyond ideas’ compatibility. It focuses on deep and shared goals for the future. - Remember that the key concept of sustainable negotiation is that negotiation is a process and as such it is a constant and never ending process. Sustainable negotiation integrates all phases of the process including the enforcement of the deal which, in fact, is the most delicate phase of the whole process. - Keep in mind that parties collaborate while negotiating the deal they want to sign, but they should cooperate once the deal will be enforced and when all partners will need to get down to work together. - Forget about winning. This is not a competition. - Be curious, open-minded, and creative. There is a lot you still don’t know. - Think that sustainable negotiation makes companies more profitable by focusing on growth along with their partners. They face challenges and take opportunities together. This means sharing risks and resources and securing a sustainable position in their target markets. Eliane Karsaklian, Ph.D., is an unusual combination of big picture thinker, academic and practical businessperson. 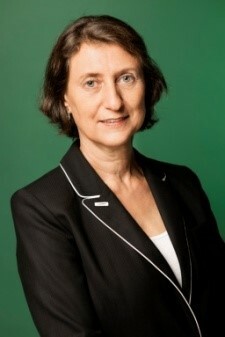 She has lived and worked in a number of countries during her career and mastered five languages, giving her extensive knowledge and experience in negotiation techniques and intercultural relationships. As an internationally known speaker and award-winning researcher, Dr. Karsaklian is the Director of the trilingual Master Program in International Negotiation at Sorbonne and is invited as speaker at a number of universities around the world. She is currently visiting professor at the University of Illinois at Chicago. 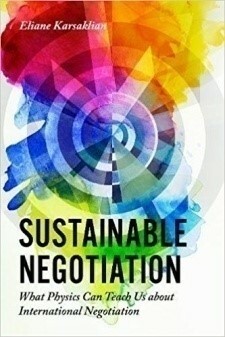 Her more recent book - Sustainable Negotiation. What Physics Can Teach Us About International Negotiation - introduces a completely new perspective on international negotiation, providing practical, ﬁeld-tested examples, experiments and guidance to enable readers to implement sustainable negotiation in the real world. The book borrows from the ﬁeld of physics to make the case that negotiators need to know what is not visible so they can explain what is visible. For more, visit www.LinkedIn.com/in/ElianeKarsaklian and www.ubi-orbi.com. Is Your Brand Hurting Your Recruiting?